The Cucicucicoo team happens to be my family. Here we are! Don’t judge them by their ages! They are both my muses and frequent inspiration, and I require them much more often than they’d like to get in front of the camera to model or pose with my creations, or to help hold up props or other such things. They are usually patient and Nicky in particular is the source of a lot of hilarious outtakes. 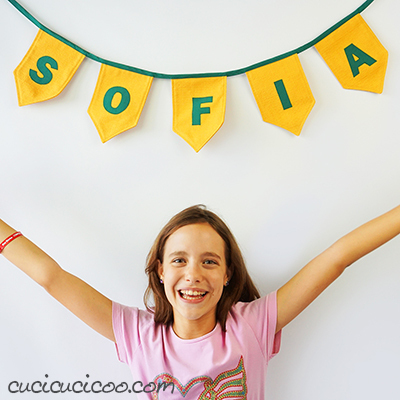 Sofia is twelve years old, but far beyond that in kindness, understanding, generosity and wisdom. She is my main photographer when I have to get in front of the camera. She’s been taking pictures of me since she was about six and she can handle a DSLR pretty darn well! Sofia has also recently become my Italian proofreader. I translate everything that you see here in English into Italian, as well as sewing patterns and Newsletters, and Sofia checks and corrects every single word of it. I am training her to become my translator. Besides the fact that she is learning important skills for her future, I also pay her for her services and she is actually quite happy to do it. 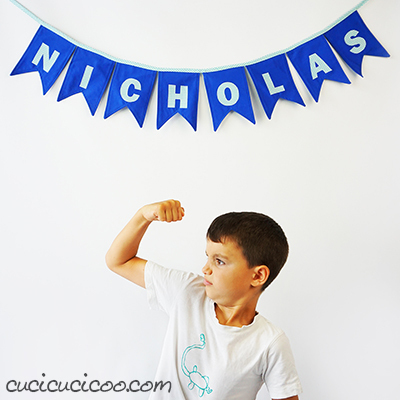 Nicholas is eight years old and is a whirlwind of energy and hilarity! It’s hard to keep a straight face when you’re around him because he is genuinely one of the funniest people I know and has an out of the ordinary intelligence that goes far beyond school-learning. This little guy has also started his role a photographer when Sofia is unable to take pictures for me. How could I ever forget when I was teaching 4-year-old Nicky to use the DSLR camera that was nearly as big as him? And this guy. This guy is my foundation. These are the only pictures you’ll find of my husband on this website because that’s how he prefers it, though his hand does make an appearance from time to time. 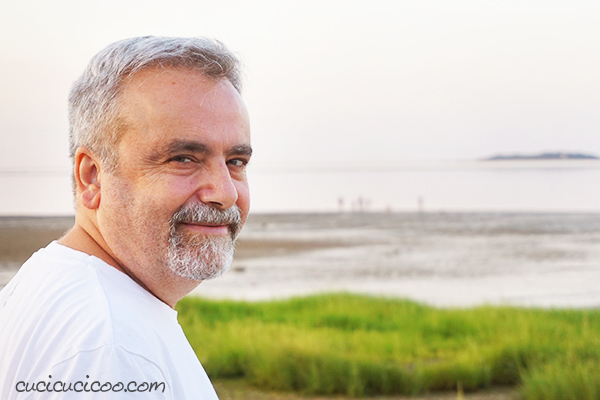 Before I hired Sofia as my photographer and proofreader, he did those jobs. But it is his never-ending support and faith in me, my well-being and what I do that is phenomenal. Never once has he doubted my crazy dream to have a sewing blog/shop/business, and he does everything he can to make it possibile, in more ways than I could explain in this paragraph. What a lucky lady I am to have such powerful love and support each and every day! That leaves me, Lisa. I decided to regale you with seven stories of hilarious, bizarre or at least somewhat interesting things I’ll bet you didn’t know about me! Click here for some good reading that’ll entertain you for a few minutes! Click here to sign up for the Cucicucicoo Newsletter to get every-other-weekly awesomeness right in your inbox! Sit in your PJs while you sip your morning coffee and find out about new projects, tutorials and sewing patterns! And, because I love my subscribers, I let them into the private area of Cucicucicoo with access to tons of free sewing patterns, crafting templates and other cool and useful printable files! Hooray! Click here to get your piece of the action! 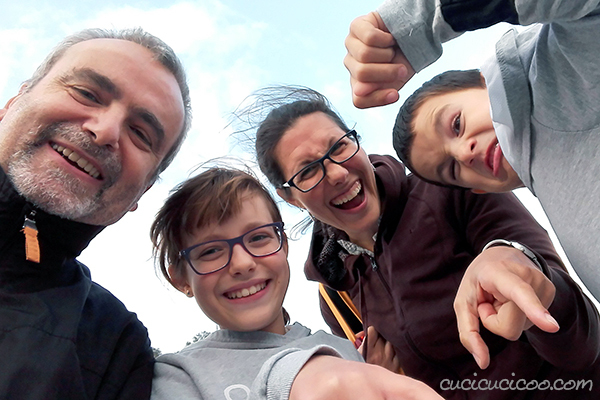 Want to be a part of the Cucicucicoo team? There are all sorts of ways that you can collaborate! Read this advertising/sponsorship page if you are a brand, service or website. If you are a reader, you can earn money by recommending Cucicucicoo products with the Cucicucicoo Affiliate Program, get a discount by leaving a review in the Cucicucicoo Patterns shop with the Review Program, or get an insider’s view in the pattern making process by signing up to be a Cucicucicoo Pattern tester. Just fill in this form to be notified of each new pattern ready for testing and you can decide whether or not to apply for that particular round of testing. Got questions? Feel free to write to me at lisa@cucicucicoo.com!